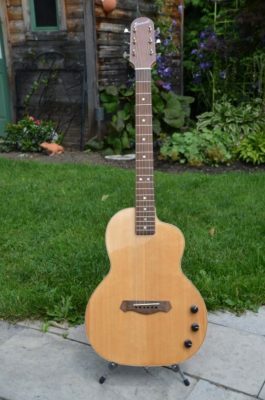 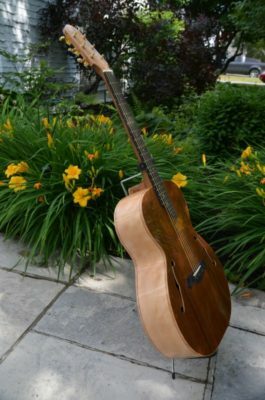 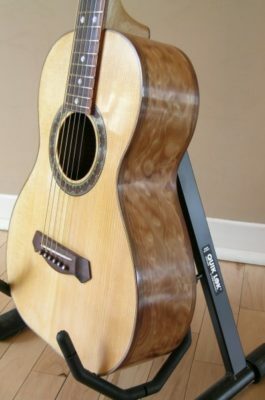 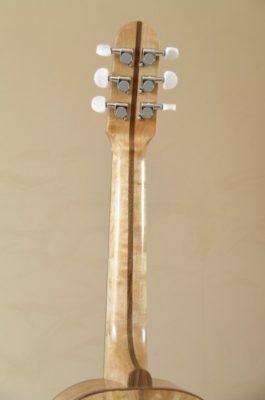 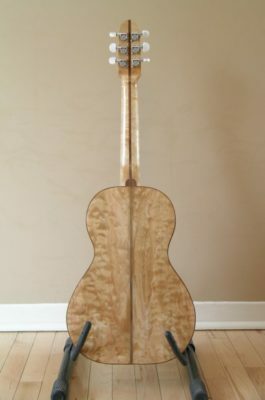 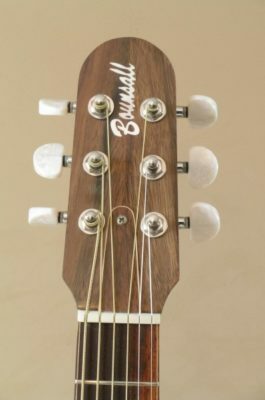 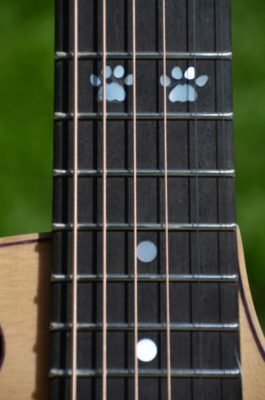 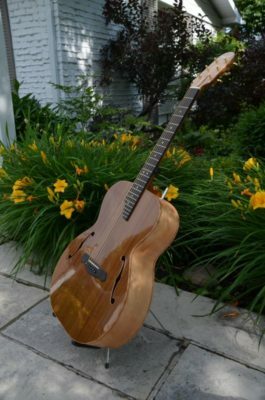 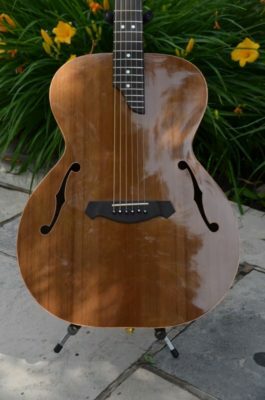 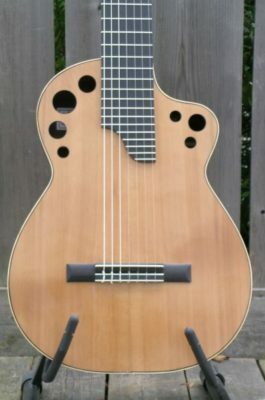 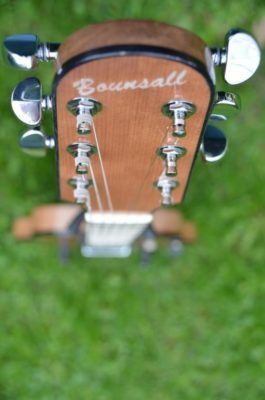 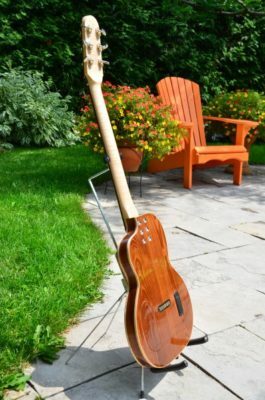 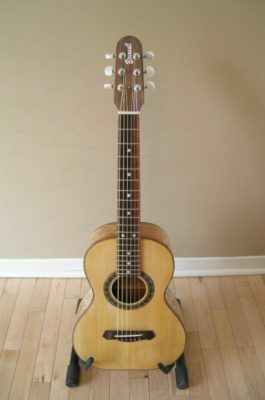 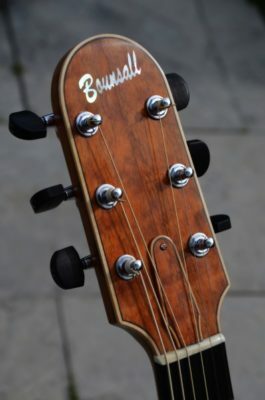 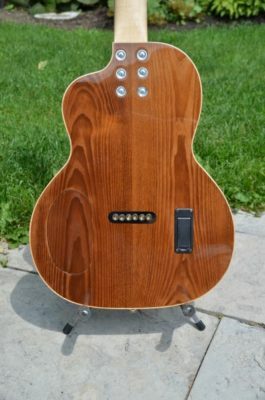 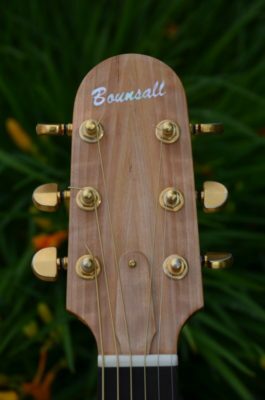 Below are some of the unique guitars created by Bounsall Guitarworks. 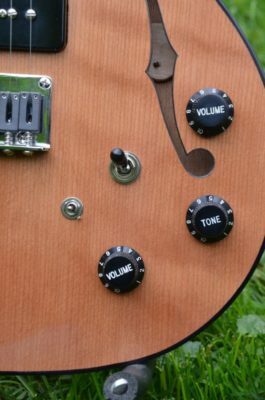 Hover your mouse over a photo to pause the corresponding slideshow. 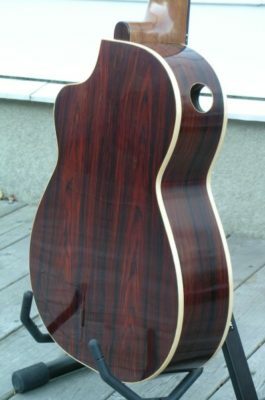 Flame birch and chocolate coloured cedar flattop acoustic with F holes. 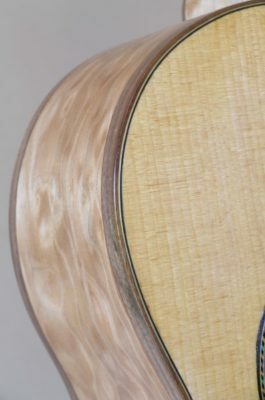 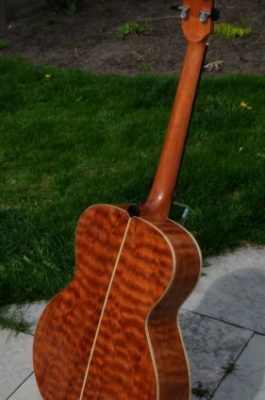 Quilted mahogany and Sitka spruce acoustic with offset sound hole. 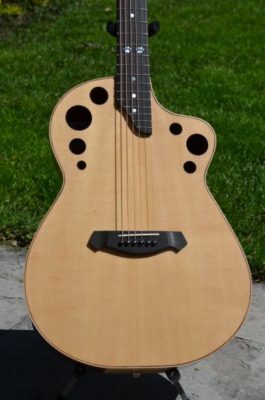 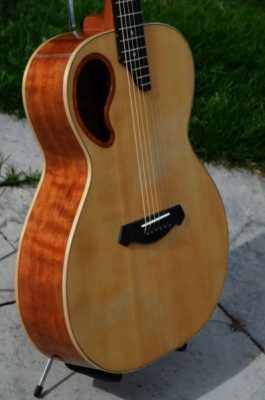 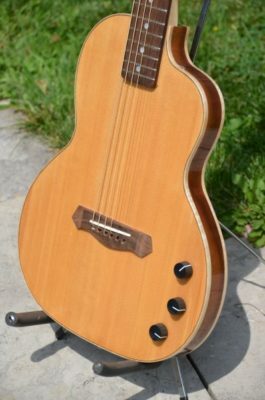 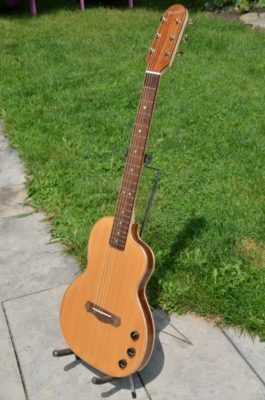 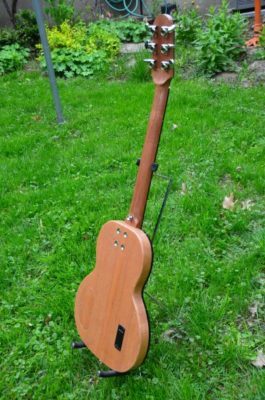 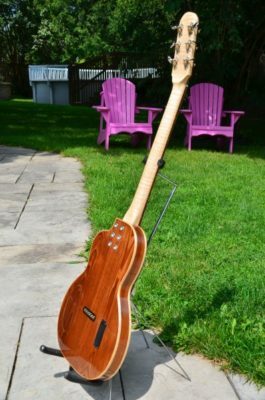 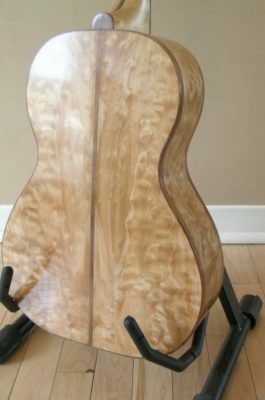 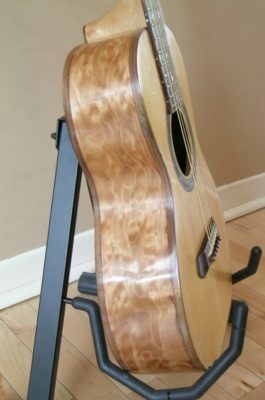 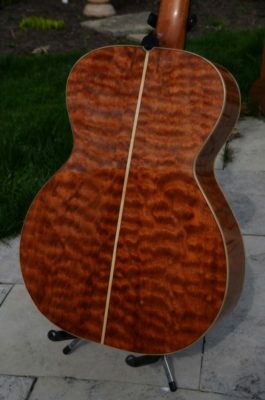 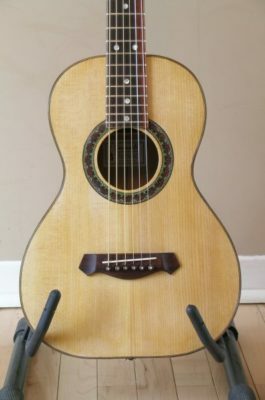 Chambered solid body acoustic. 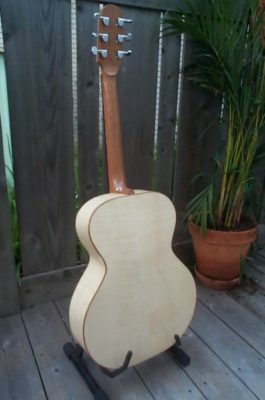 Roasted ash, Sitka spruce, and curly maple. 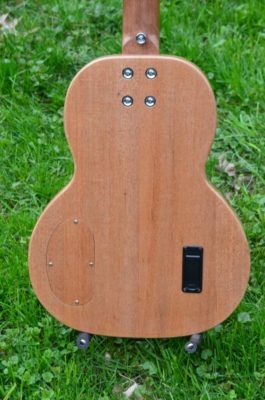 Piezo under saddle pickup, onboard preamp with volume, bass, and treble controls. 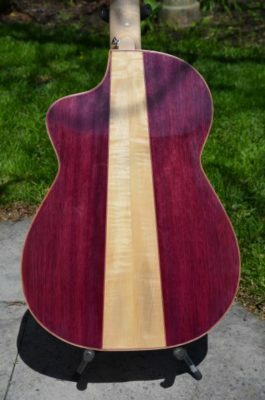 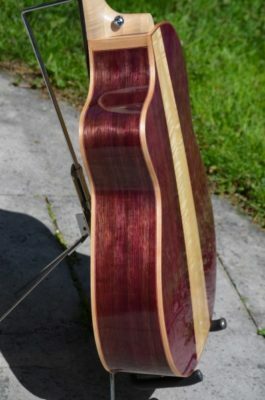 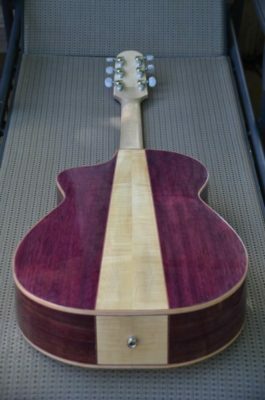 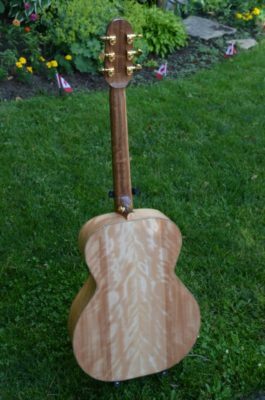 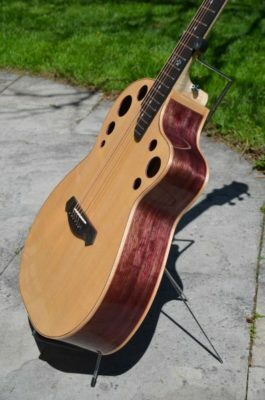 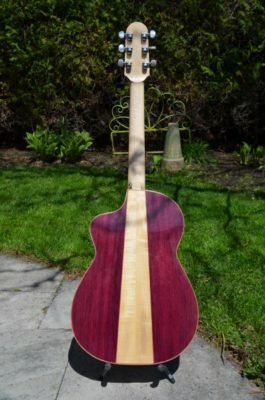 Purpleheart and curly maple acoustic with Sitka spruce top and multiple sound holes. 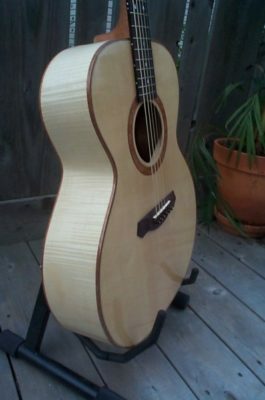 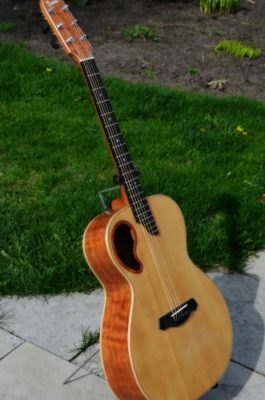 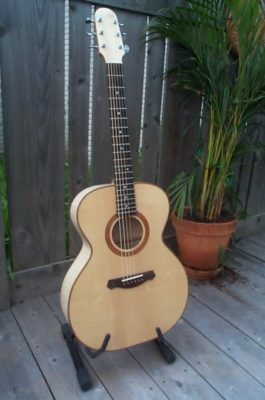 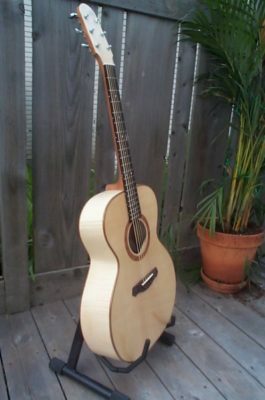 Curly english sycamore and mahogany acoustic with Sitka spruce top. 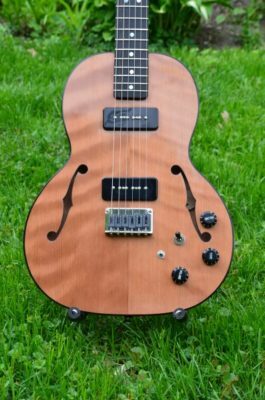 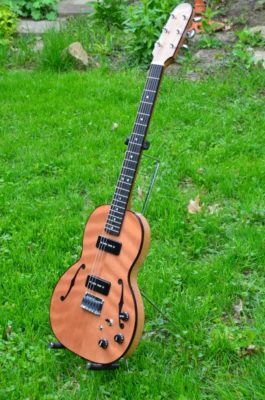 Curly redwood and mahogany semi-hollow electric with dual P-90 pickups and piezo acoustic bridge saddles. 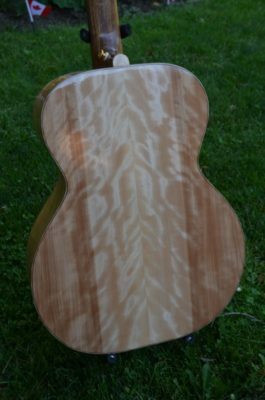 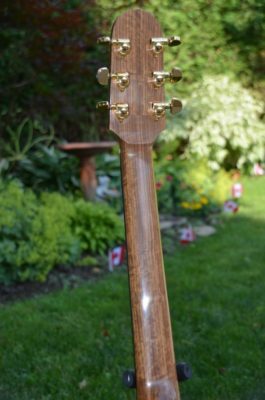 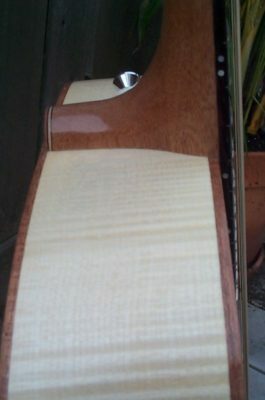 Quilted bigleaf maple size 5 small body acoustic with Sitka spruce top and walnut appointments. 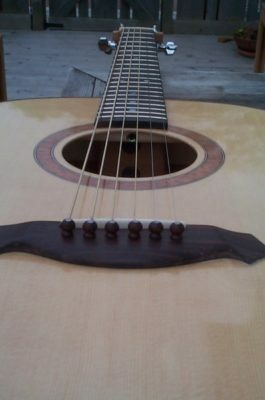 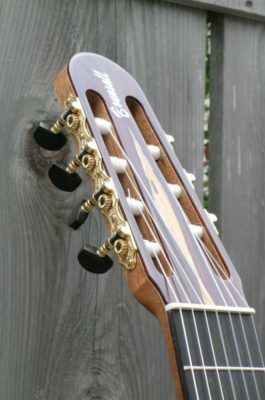 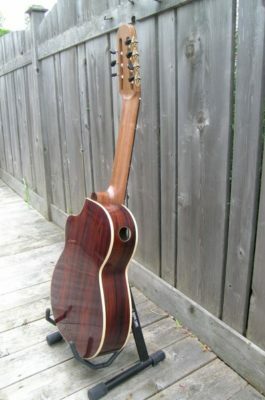 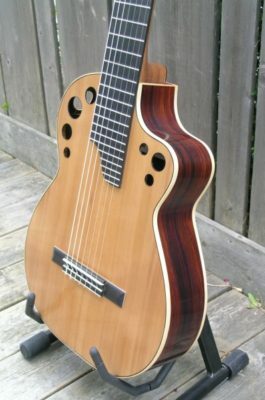 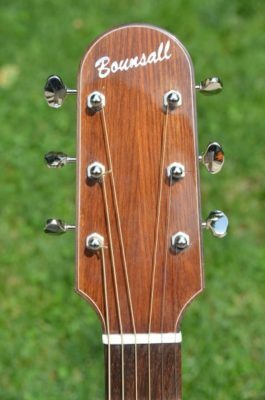 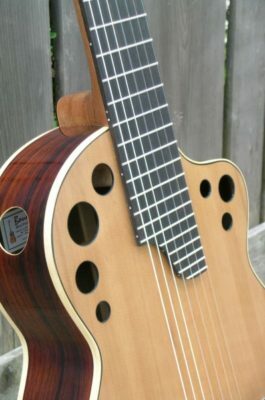 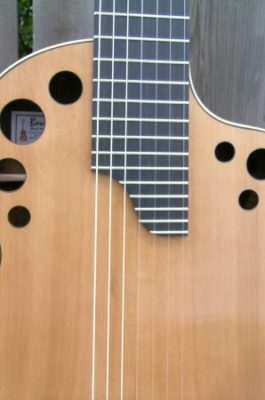 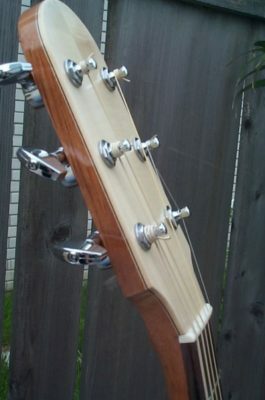 Cocobolo and western red cedar 7 nylon string acoustic with multiple sound holes and upper bout sound port. 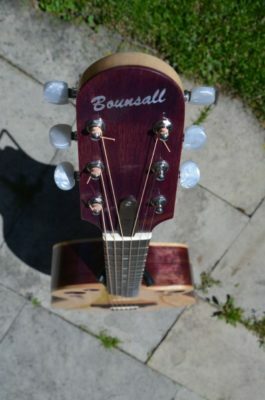 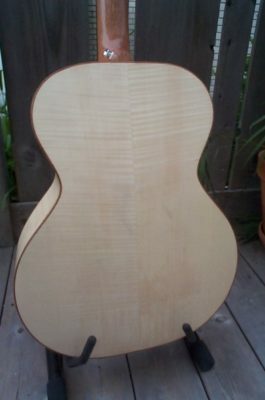 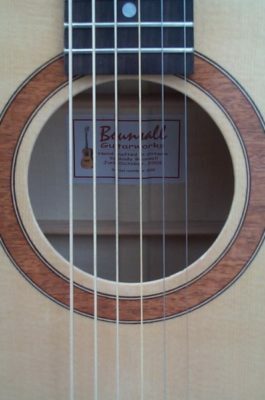 Visit Bounsall Guitarworks on Facebook to see what’s currently under construction.